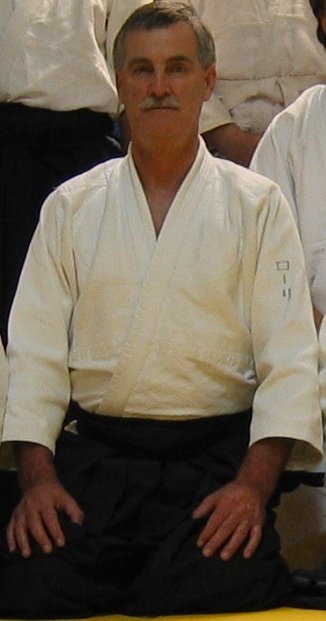 Rory McLeod is an assistant instructor at the Ku-ring-gai dojo and now in his 23rd year of practice with the Club. He is also a NCAS Accredited Level 2 coach. Rory sampled a number of martial arts in his youth including Judo and Tai Chi. However, it was not until his early forties that he discovered Aikido. Since then he has trained regularly at the Ku-ring-gai dojo and is now a second dan black belt. This shows that its never too late to take up the art of Aikido. Rory has also trained at the Iwama dojo in Japan and has attended numerous Aikido seminars presented by international instructors in Australia. He was the foundation instructor for the children’s class and is also an instructor with the adults classes during the week.